Elisa new exactly what to do and corrected the problem. Great service technician, fast and friendly. Service, timeliness, professionalism and knowledge was excellent. Had used them one other time in the past and service is still stellar. 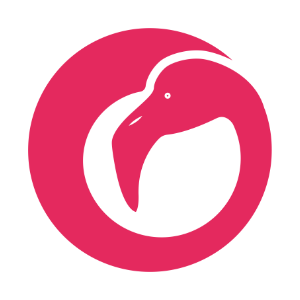 Rated the cost above average and not excellent simply because they come from so far away and have to charge additional for it, but that is what it takes to get quality service. The tech is very skilled, offers tips and general care info and explains what he is doing or needs to do to correct the problem during the call. First time using your company and it was a great experience! You arrived exactly when you said you would, and for my initial appointment you even called and asked if you could come early. Al was knowledgeable and friendly; a pleasure to deal with. Let me use the machine before I say something. Alexis should be cloned! HE KNEW HIS STUFF. He was honest and educated about the product. The guy repaired the dryer to my satisfaction.Note this dryer was broke when we got it Home depot refused to replace it. The dryer is a maytag, no more home Depot no more maytag!!! !This is why i stop buying from Home depot years ago.!!!!! FINE TECHNICIAN.......A CREDIT TO FLAMINGO. Cory was very nice and helpful. He was informative and polite. Technicians Chris and Jessica were both knowledgeable, respectful and always on time. Even amid 3 or 5 service calls from a frustrated family with a virtually brand new non-working refrigerator, Chris and Jessica always maintained their composure and professionalism. 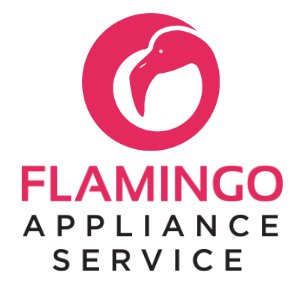 I highly recommend Flamingo Appliance for refrigerator repair. Efrain was very polite and professional from start to finish. This was a replacement stove handle that was damaged upon delivery. The communication was excellent. Would consider using this company for any potential repairs. Thank you. This model of Whirpool 21.4 double sided, not the most convenient to buy, ( refer to above for 2 reasons mentioned) Danny was very knowledable, effucient, and went to the point. Anthony was on time, promptly installed the new part on my oven and was very polite. Technician was on time and friendly. Christopher was very proffesional, great experience having him look over our appliance. The tech man was very friendly professional and knowledgeable about his work . DRYER WHIRLPOOL WED8500DC4 "fizxed vent tube and secured the bolts on the terminal block , checked ok"
DRYER WHIRLPOOL WED560LHW0 the buliders complain is that the dryer is making noise. ran unit is sounded like normal operation. COOKTOP WHIRLPOOL KICU509XBL00 "Unit showing f47 burners still not working, called techline recommended replacing module. ; ordrng 1 W10857232 (module)"
DISHWASHER WHIRLPOOL WDT710PAHZ1 "Check one oishwasher not working found open netural in harness behind outer door panel,repair the netural wire test control now getting power,test unit check ok FCC." DRYER - ELECTRIC WHIRLPOOL WED7590FW1 "Check one dryer making noise found the noise is from the vent duct,tighten vent screwse around the bloewer in the dryer to stop the noise unit check ok FCC." DRYER WHIRLPOOL WED560LHW0 "builders complaint is that the unit is making noise i ran unit, until unit cut off because of lack of moisture, i only found normal operation sound, ran unit in dianostics no errors. adusted legs on stackable unit. no issues." DRYER WHIRLPOOL WED560LHW0 "the builder complaint is that the dyer is to noisy i found the noise the builder is hearing is coming from the air traveling throught the aluminum venting posibly small dust in vent, this unit seem lighter than the previous design. i ran dianostics on unit no error codes. unit is working per spec." OVEN WHIRLPOOL WFG320M0BS3 "customer complaint is that the unit isnt heating well i did finnd the error code f1 customer said she would use unit think it was heating but find F1 error, i found the error ran unit to 350 error did orcor, unit is on own outlet 117.3 volts while on will need to check three highs and lows. ; ordrng 1 WPW10181986 (SENSOR) and 1 W11126814 (CNTRL-ELEC)"
MICROWAVE WHIRLPOOL WOC54EC0AS04 "File # 7724685084 .Found bent hinge bracket,ordering part for repair. ; ordrng 1 WPW10128850 (arm assembly)"
DRYER WHIRLPOOL WED560LHW0 "blower wheel hitting the housing ; repaired the blower wheel so it doesnt hit the housing , dryer checked ok"
WASHER WHIRLPOOL WTW4616FW2 "Inspected then unit and found that the drain hose is to high causing the washer not to drain properly. Advised the customer about correcting the drain hose, drained the water out of the washer and demonstrated a working washer to the customer with no leaks." FREEZER WHIRLPOOL WRFA35SWHN01 Inspected unit found units freezer door needed to be raised up and found top gasket in center not going all the way to the liner. applied permagrum and formed the gasket and now it seals all the way to the liner. unit now checks ok.